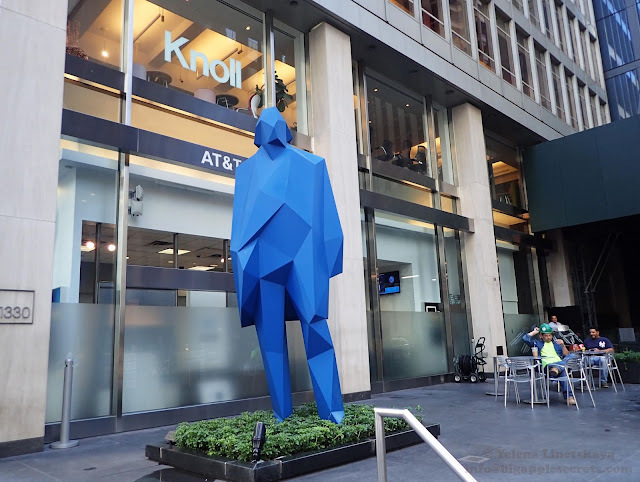 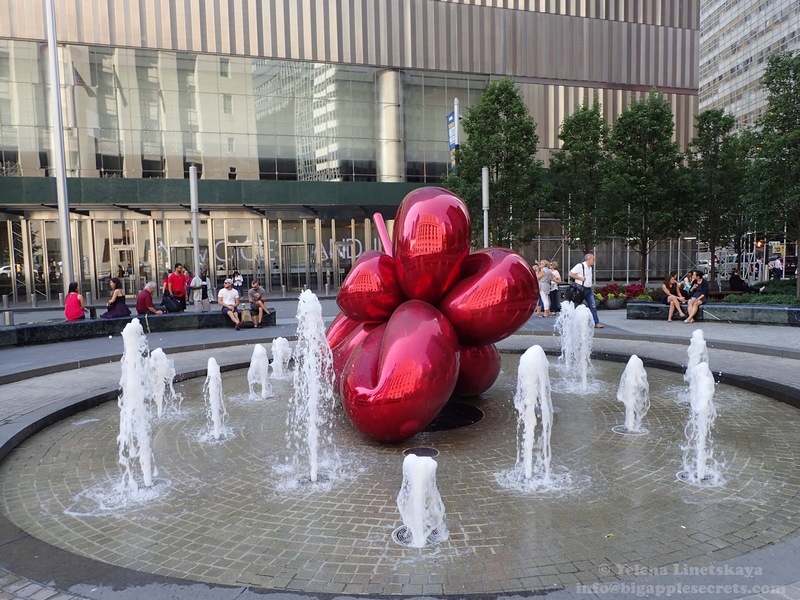 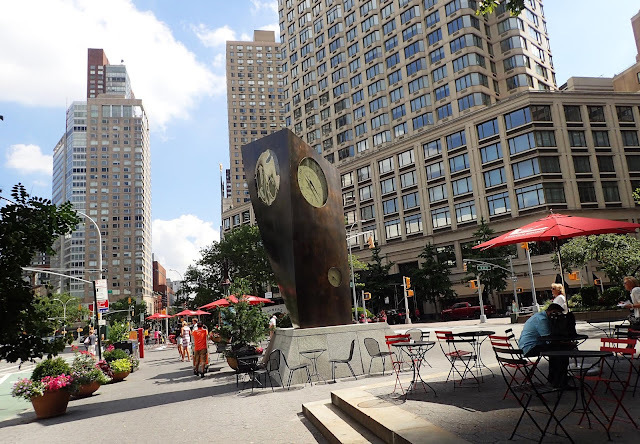 The blue man, by the French sculptor Xavier Veilhan, at Sixth Avenue and West 53rd Street in Manhattan, is called Jean-Marc, named for the artist Jean-Marc Bustamante, French artist, painter, sculptor and photographer. 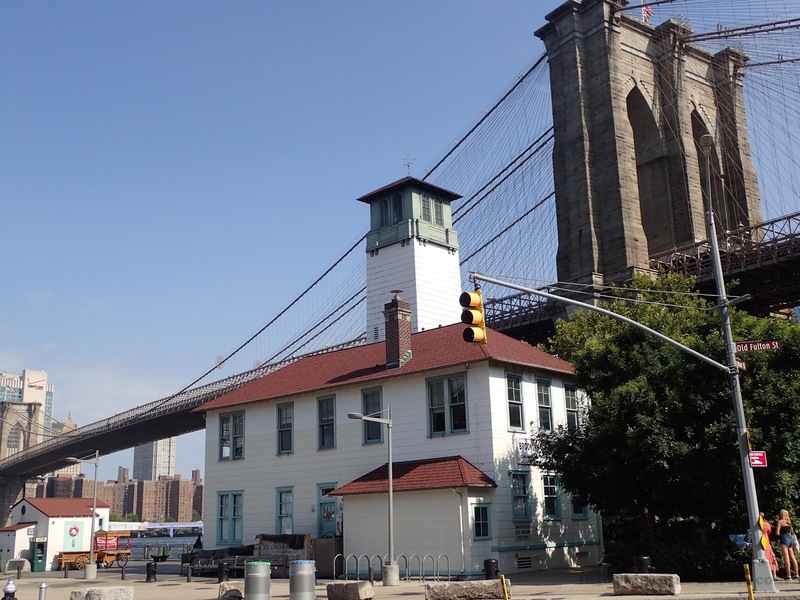 A former fireboat house for the New York City Fire Department’s Marine Company 7, later Fulton Ferry Museum and now Brooklyn Ice Cream Factory at the foot of Old Fulton Street in Brooklyn Bridge Park. 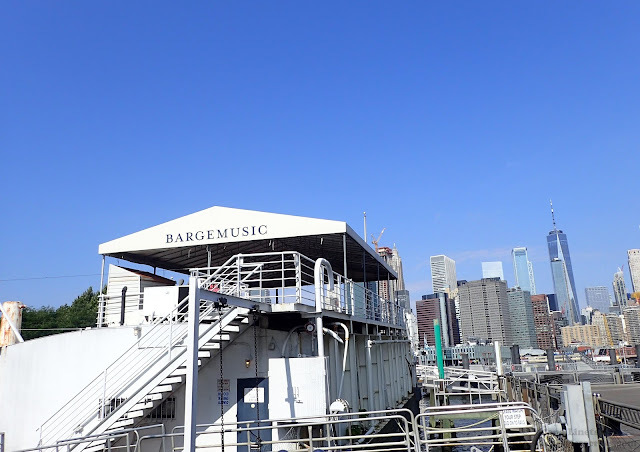 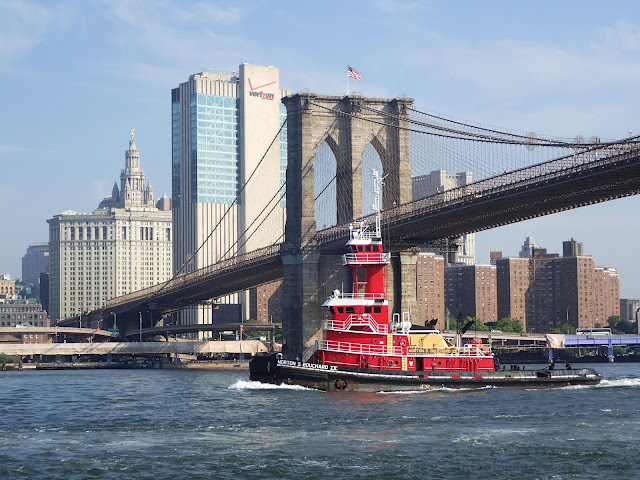 New York City's floating concert hall, a classical music venue, founded in 1977 and housed on a converted coffee barge moored at Fulton Ferry Landing in Brooklyn just under the Brooklyn Bridge. 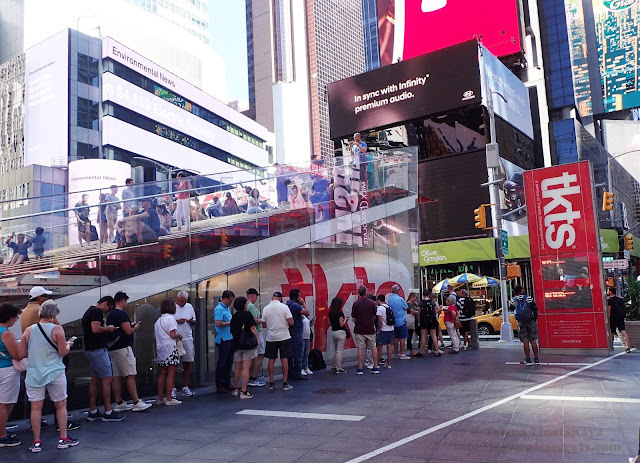 A line to purchase tickets at the TKTS booth in Times Square that sells day-of-show tickets for Broadway and other New York City theater events. 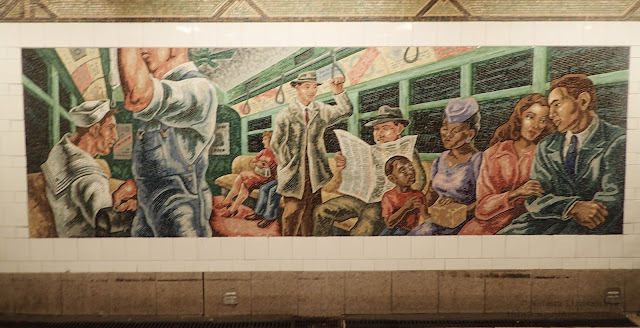 NYC subway, R line, 36 street. An Underground Movement: Designers, Builders, Riders, by artist Owen Smith, installed in 1998. 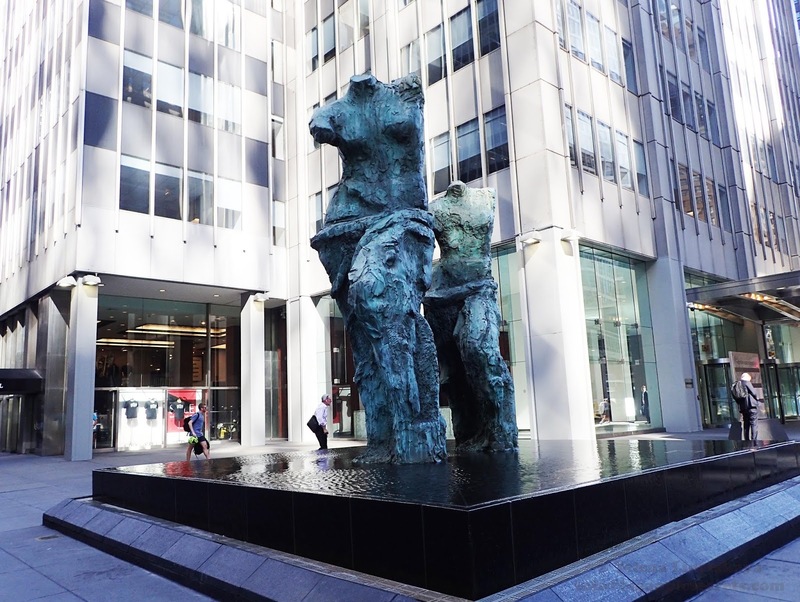 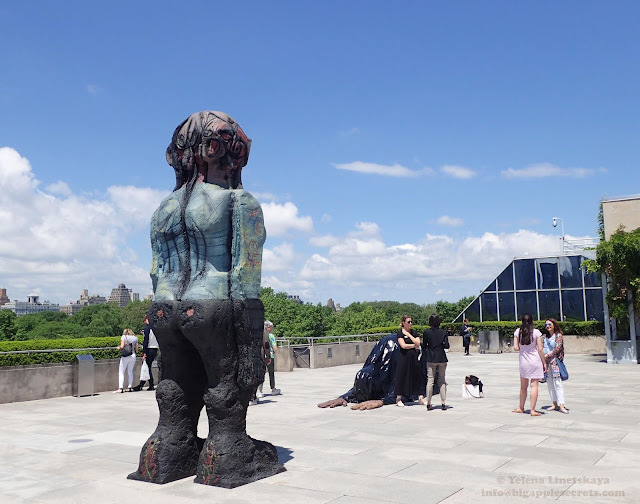 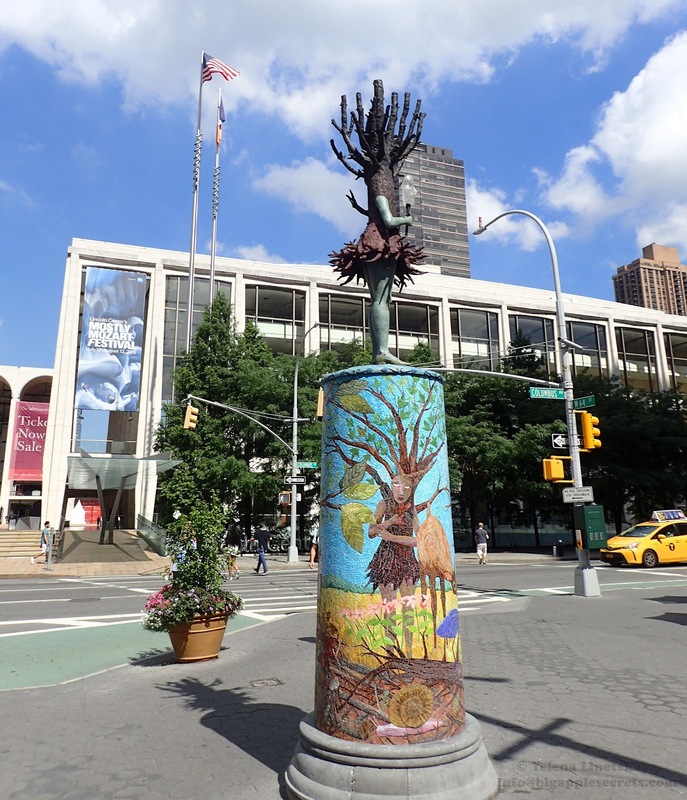 "Looking Toward the Avenue", Venus de Milo sculptures by Jim Dine installed the small plaza on the east side of Sixth Avenue at west 53rd Street. 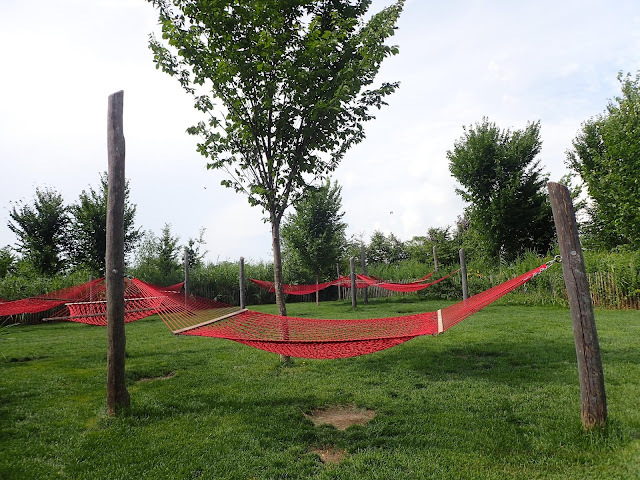 Hammock Grove, a 10-acre public space with 50 hammocks located on Governors Island. 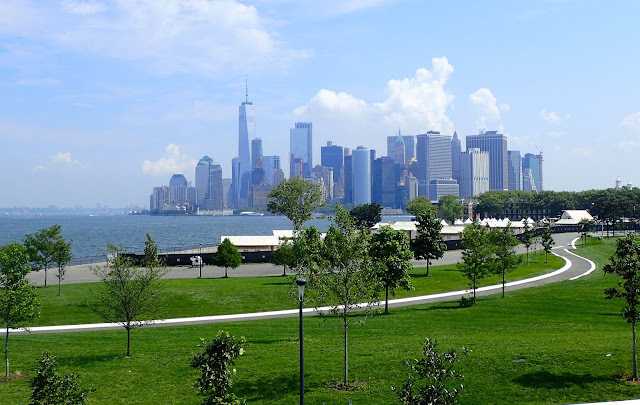 In May 1624, Noten Eylandt ("Island of Nuts"; officially renamed Governors Island in 1784) was the landing place of the first settlers in New Netherland. 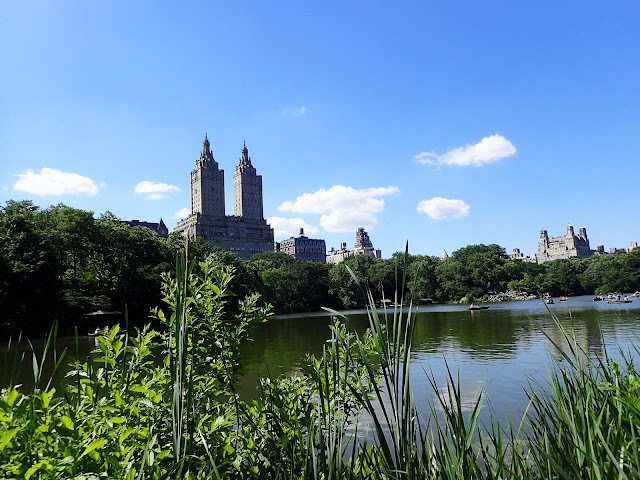 Central Park Lake and San Remo,a luxury co-operative apartment building between West 74th Street and West 75th. You can rent a boat at the Loeb Boathouse on the Lake. Never Comes Tomorrow, an outdoor piece made out of more than 100 wooden cubes and large steel funnels, by New York artist Jacob Hashimotois in the Liggett Hall Archway. 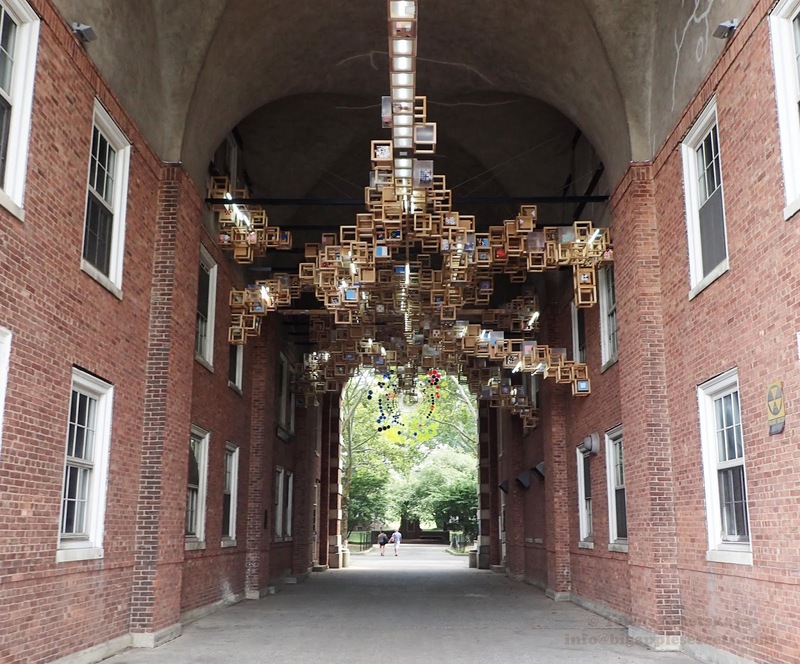 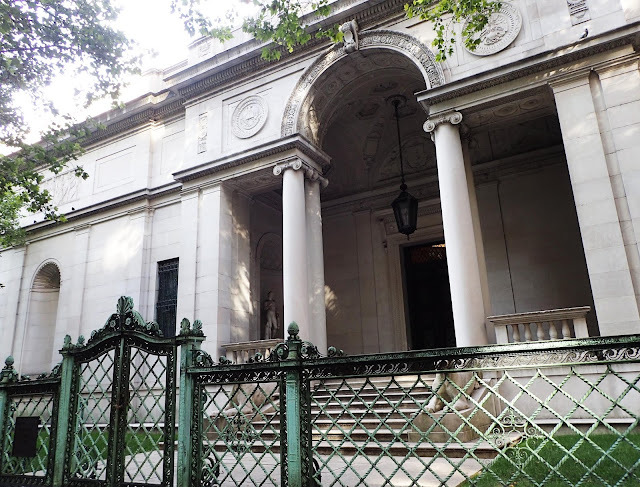 Liggett Hall is a former barracks building designed by McKim, Mead & White and built in 1929 at Fort Jay on Governors Island. 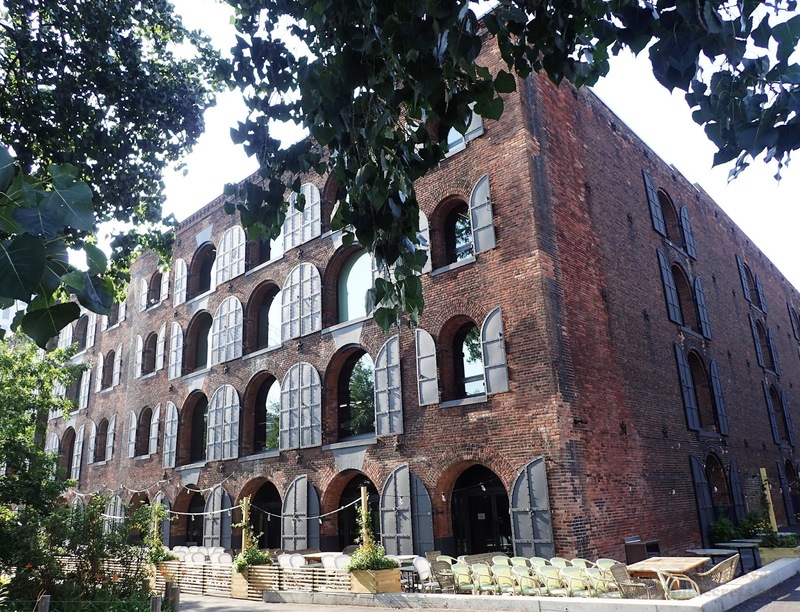 The warehouse-turned-office complex at 55 Water Street, Brooklyn. The seven contiguous warehouses of Empire Stores were built between 1868 and 1885. The Stores held goods like sugar, molasses, wool, rubber, and most notably, coffee. 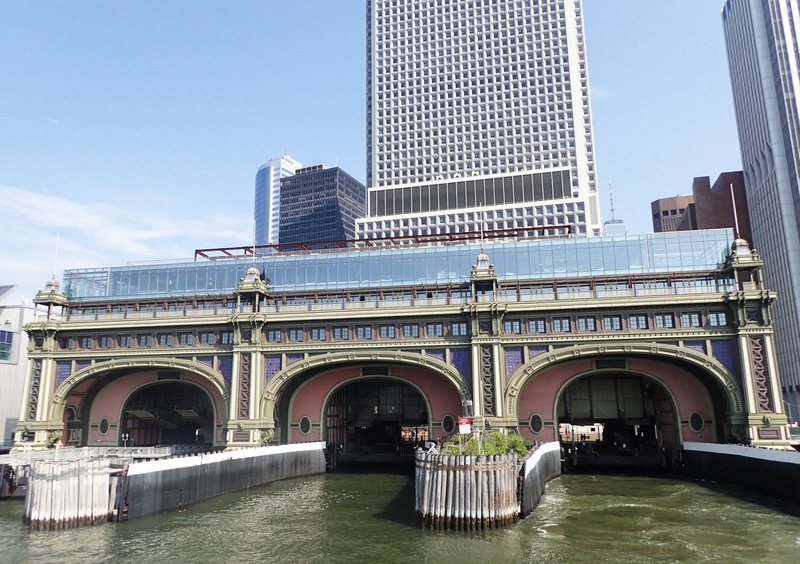 The Battery Maritime Building at 10 South Street, built from 1906 to 1909, is used now as the ferry terminal to Governors Island. 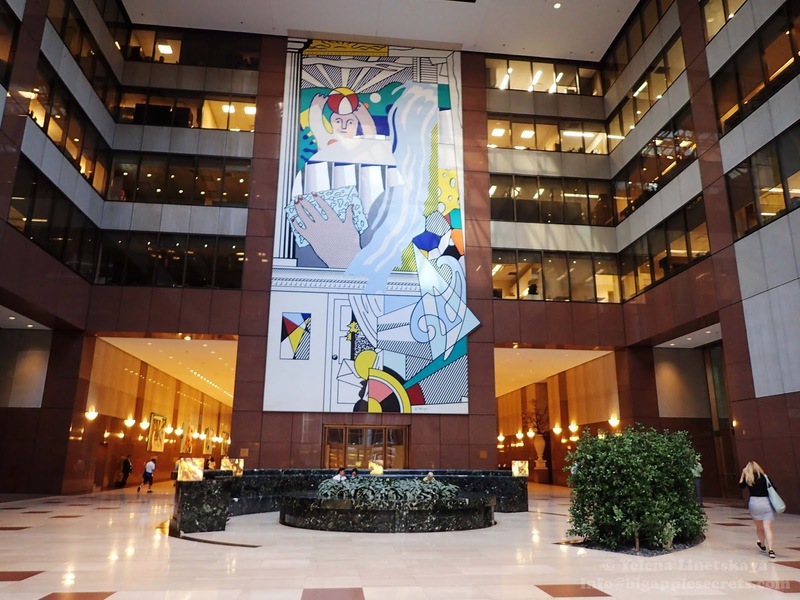 “Peter the Fisherman” by Frederick Shrady, created in 1965, at the Lincoln Center campus of Fordham University,a private research university founded by the Catholic Diocese of New York in 1841. Raoul Wallenberg Monument at the Traffic island at 1st Avenue and East 47th Street. 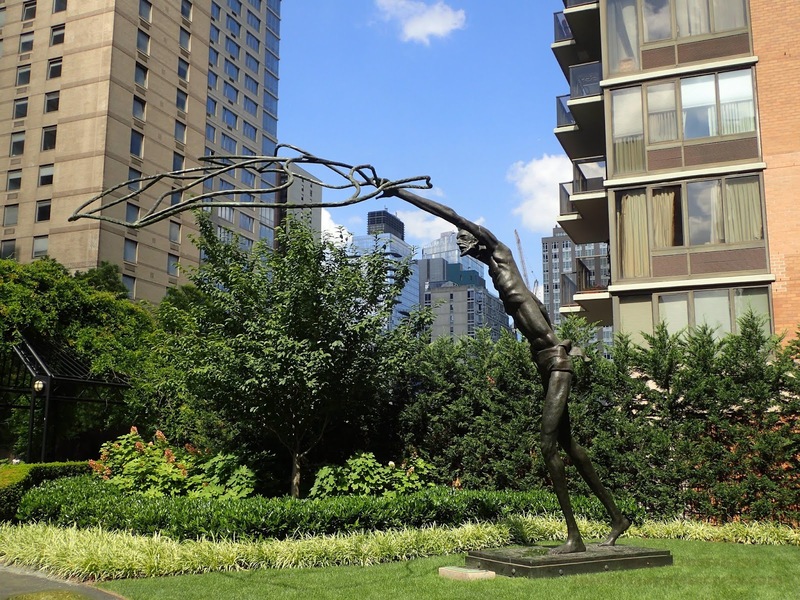 Swedish diplomat based in Budapest, Raoul was responsible for the rescue of thousands of Hungarian Jews from extermination by the Nazis. 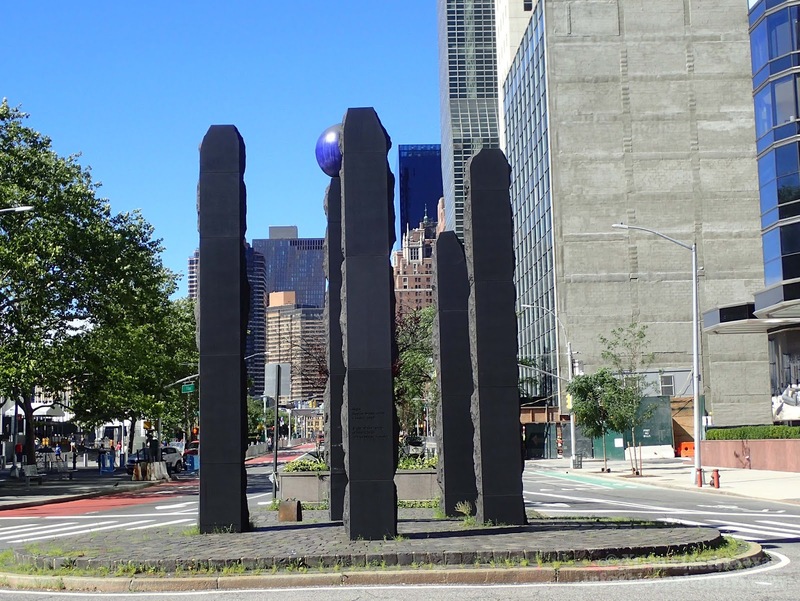 On 17 January 1945, Wallenberg was arrested by Soviet forces and brought to the Lubjanka prison in Moscow where he was executed. 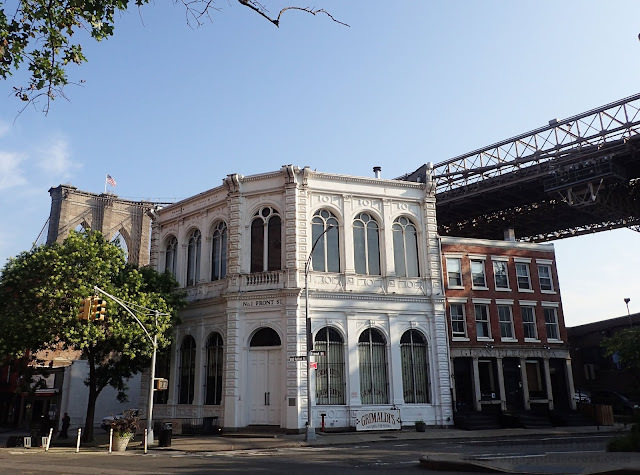 Grimaldi's Pizzeria in DUMBO,under the Brooklyn Bridge at 1 Front Street, next door to its original location. Patsy Grimaldi, the founder, opened Grimaldi's Pizzeria in 1990. 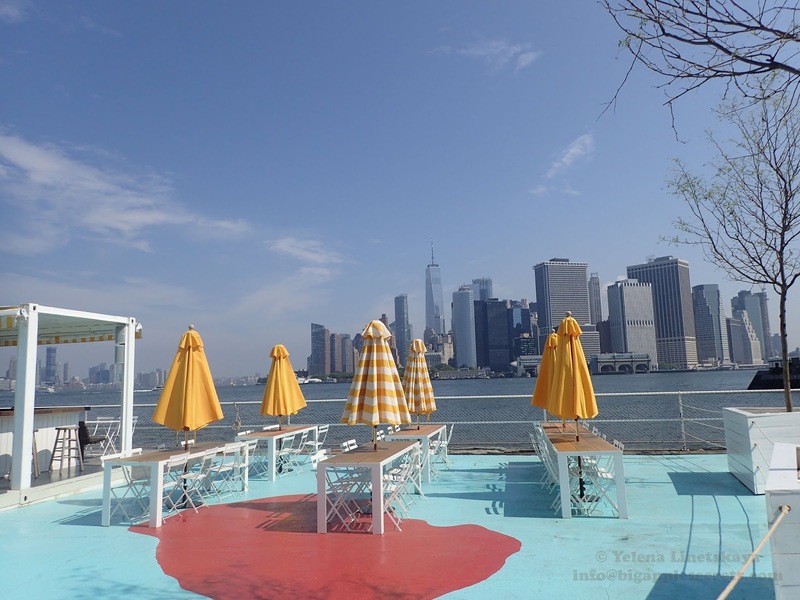 Island Oyster, a 32,000 square-foot waterfront oyster bar on Governors Island with outdoor seating for 600. 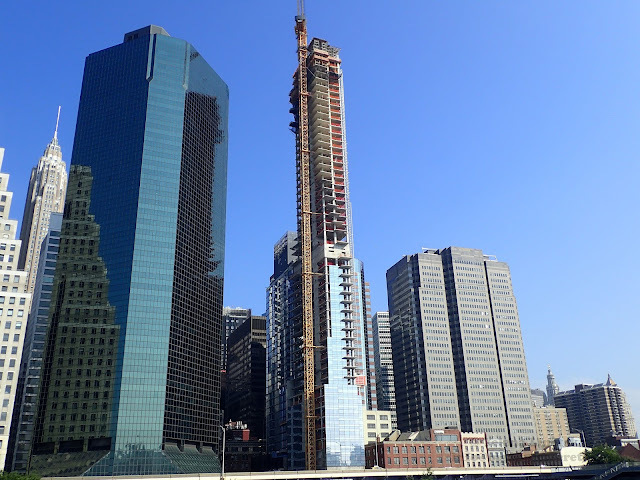 60-story 80-Unit, reflective-glass-clad apartment tower at 1 Seaport on the corner of South Street in the Financial District. The 27th floor will become an amenities lounge with sauna and an outdoor pool.At the time of the sales launch, apartments started at $1.325 million. Most of the condos here are already in contract. 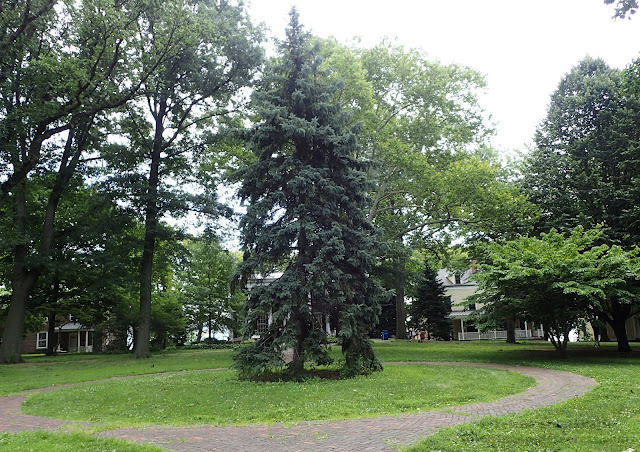 Nolan Park ( Governors Island), four acre manicured green, surrounded by houses and buildings that date back to 1810.The park is named for Major General Dennis E. Nolan , veteran of the Spanish-American War, Philippine-American War, and World War I. His last command was at Fort Jay in Governors Island before he retired in 1936. 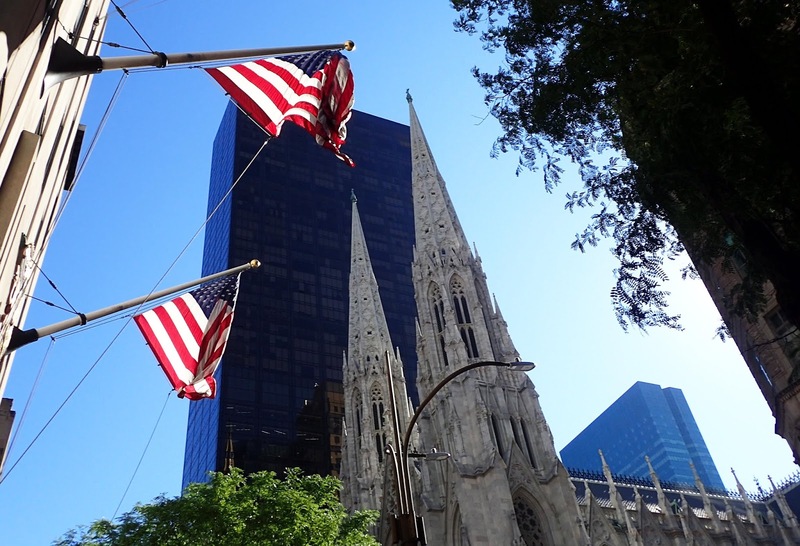 Downtown, New York. A view from Brooklyn Bridge Park, a waterfront park along the East River. The view from the Hills. 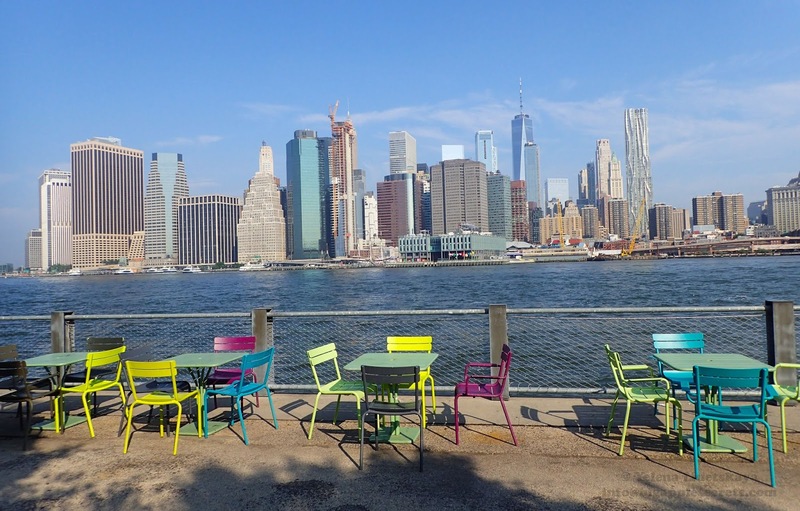 Two years ago on July 19, 2016, Governors Island opened the Hills, 10 brand new acres of park space to New Yorkers for taking the best views of New York Harbor. Vandal Gummy, Red at 4 World Trade Center lobby. 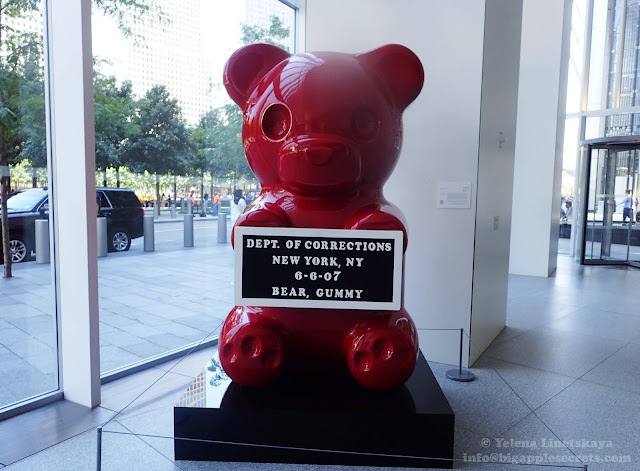 Inspired by graffity artists Bansky ans Keith Harinng, the street artist WhisBe, whose moniker is short for “What is Beautiful,” created the candylike art, which holds a Department of Corrections placard in its gelatin paws.